Welcome To The Pack. . . In the shadows they transform into beasts possessed of boundless sexual energy, with the strength and stamina to indulge every primal urge. Now, six new Chanku have appeared—bold, brash, and very much in need of their elders' wisdom. It is decided to split the young pack: three will travel to Montana to learn from Anton Cheval, and three to Colorado to be mentored by Ulrich Mason and his mate, Millie. . .
Having weathered a series of vicious attacks, the Montana pack welcomes the distraction of breaking in the novices. 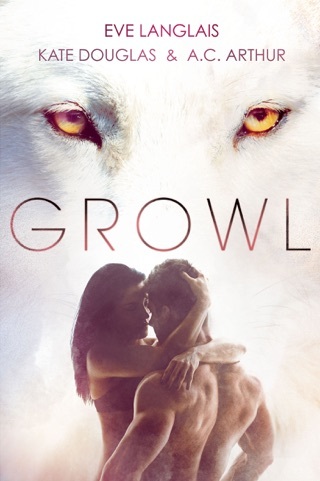 But everything changes with the arrival of a mysterious stranger whose connection to Millie will bring the she-wolf, her partner, and their protégés—including Matt, the sensitive alpha Millie has brought to his sexual peak—to Montana. The time has come for Millie to confront her past, even as the young Chanku prepare for a future of power, pride, and pure pleasure. . .